Errol Allen unveils the essential characteristics of service excellence. In order to be successful at any endeavor, one has to identify the essentials required to accomplish that feat. It’s the same in customer service. What essentials are required to create great customer experiences which lead to maximum customer retention? I’ll give you six characteristics that I feel are key ingredients. Customers expect product/service providers to be dependable and accurate during interactions. Take your home electricity – as long as you pay the bill you expect the lights to come on when you flip that switch. Do customers consider your organization to be reliable? Are you rated high for dependability? Can your customers trust that you will do what you say you will do? These are key factors to providing a great customer experience. This characteristic measures knowledge and skill level in regards to one’s product/services. If you surveyed your customer, what would they say about the level of competency exhibited by those within your organization? Internet access allows today’s customer to gain knowledge about your and your competitor’s organization. Once the interaction begins, will your customer know more about your products/services than front line personnel and others within your organization? Make sure that everyone within your organization is a product/service expert in order to receive a high rating for competency. When customers enter your brick and mortar location, call on the phone, email or initiate a web chat, how long does it take for someone to acknowledge their presence? One of the most dreaded customer experiences is waiting to be serviced or even just to be acknowledged! How long are your customers waiting for service? When issues arise, how long does it take before the situation is addressed and a resolution provided to the customer? The responsiveness clock is ticking in your customer’s head while waiting to be serviced or to receive a reply to inquiry. In my opinion, this one is the easiest characteristics to exhibit. If there is one thing that we can all control is our ability to be kind and polite. All customers deserve common courtesy. Courtesy goes a long way with customers, especially when they’re unhappy with your product/service. Body language and facial expressions also contribute to the courtesy factor. What score will your customer contact personnel receive for courtesy? Can your customer deem your organization as credible? This characteristic is an image builder. We’re talking about trustworthiness here! Does your performance match what you advertise? Does your organization deliver on its promises? Choosing to take the steps necessary to ensure credibility helps to create a reputation for believability. One act by one person which puts your organization’s credibility into question can be an image killer. Protect your organization’s future by insisting that everyone performs their duties in a manner that passes the credibility test. This is the glue that holds it all together. Consistency creates long term customers. Consider this – If your organization is consistently reliable, competent, responsive, courteous and credible, you’re probably providing many great customer experiences. Consistency means establishing a pattern of behavior. Does your customer’s rating of your organization indicate a pattern of great behavior in regards to the customer experience? 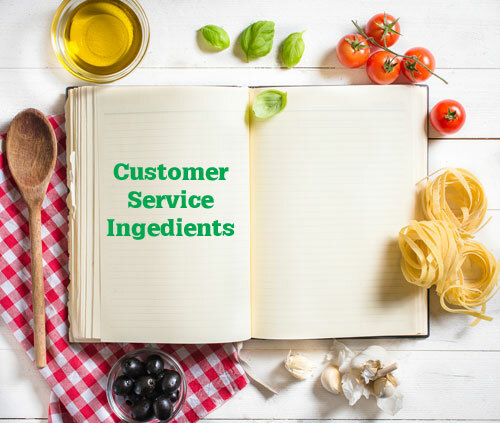 Can your customer depend upon your organization to provide a high level of service every time she or he choose to utilize your products or services? The ability to intermittently exercise the five aforementioned characteristics will not help in your quest to provide great customer service. When consistency is added, long term retention is usually the result. I’ll say it again – Be Consistently Reliable, Competent, Responsive, Courteous and Credible. Exercising these characteristics will assist your organization in its quest to provide great customer experiences!